The TCL 24 Inch HD Digital LED TV is the perfect TV for anyone looking for a quality and budget friendly TV in Kenya. You will not only buying a TV from a reputable brand name, but you will also be getting great value for money. 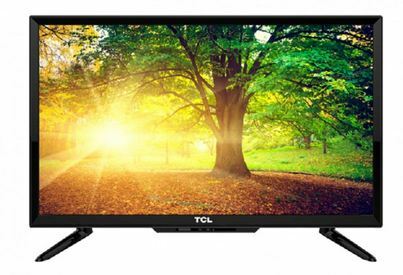 The 24 inch TCL TV is perfect for anyone seeking a TV on budget. In fact it is among the best cheapest TV below 15K in Kenya. Buying a TCL 24 Inch TV is worth every coin as the TV is highly rated and has received positive reviews. 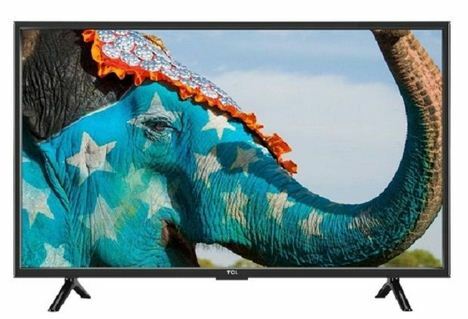 The TCL 24 Inch HD Digital LED TV is affordable as it retails for around KES 12,000. Check Current Price! Sharing of data is made much easier with the TCL 24 Inch HD Digital LED TV. This is because the TV has HDMI and USB ports that allow connection to other media devices. With the three ports, one can comfortably connect a variety of devices and then use the input button on your remote to switch to your device of choice. The 24 TCL TV has a PVR function that allows you record live coverage; events, sports, TV shows, and movies. The Personal Video Recorder allows one to record live TV on a USB. This TCL TV has smart volume control capabilities. Your TV set automatically adjusts its volume in regard to its inter-immediate environment. The smart volume control ensures that the volume is neither too high nor low. The TCL 24 Inch HD Digital LED TV has a 1366 X 768p resolution that allows you to view high-quality pictures. The TV color is ever accurate, giving you a well-detailed account of the movie or show that you are watching. Moreover, the TV has a 100 Hz refresh rate that eliminates blur caused by fast moving scenes. We cannot, however, fail to point out the fact that the TCL 24 inch TV is LED backlit. LED-backlit TVs are more vibrant in color in comparison to LED panels. They also save more energy. Nothing can help you cut down those extra electricity bucks better than the TCL 24″ Full HD Digital LED TV. The TV is energy efficient. This is done by dimming of the screen, hibernation and in some cases shutting down when inactive for long. Additionally, the TV is manufactured to consume less electricity in comparison to the others. Worried about your kids gaining access to R-rated movies? Worry no more, the TCL 24 inch TV in Kenya facilitates for parental control. additionally, The TV comes with child and hotel locks that can be customized to limit the access of some features by specific users. The TCL 24 Inch HD Digital LED TV can work without an external decoder as It has an internal decoder that allows you to receive digital signals of channels within your locality. 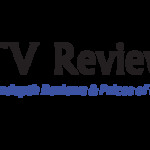 This is another excellent way of saving money as you will have access to over 50 free to air channels in Kenya.